What type of website is right for you? Melanie Buffington is a top realtor in the Temecula, California area. When customers choose Melanie as their realtor, they choose her for her well-known expertise in real estate and creative mortgage financing. 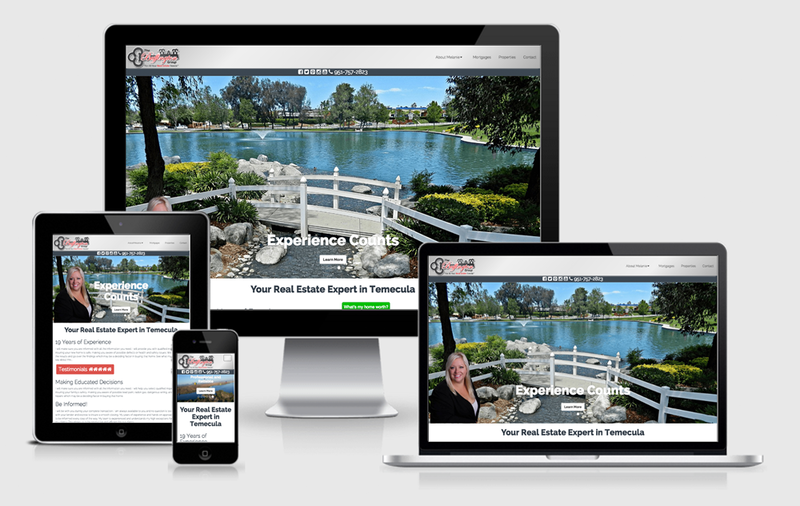 With this in mind, we featured a picture of Melanie superimposed in front of some beautiful properties in Temecula. In addition, White Buffalo created a custom mortgage calculator with presets that are perfect for the Temecula area. Stevens Emergency Medical Services is an ambulance company based in Stevens, Minnesota. 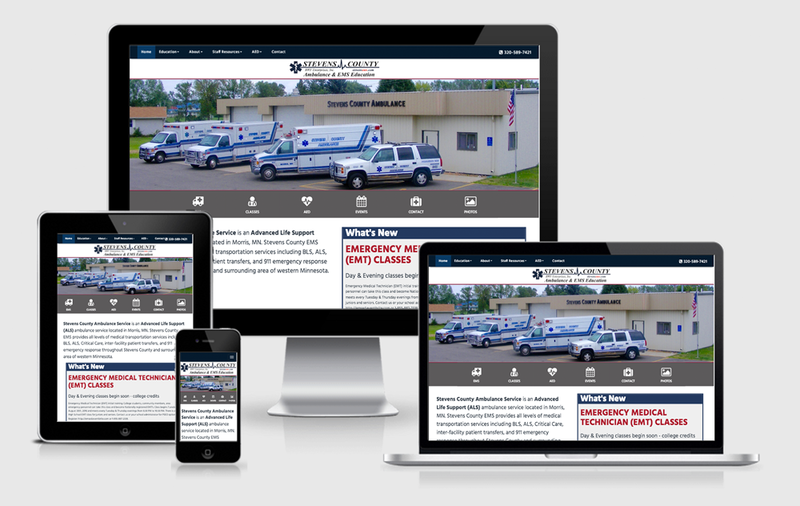 The owner of Stevens EMS had developed his company website in Dreamweaver. He wanted a fresh design, but he also wanted to be able to make ongoing changes in Dreamweaver. We updated his website code from HTML to PHP in order to remove repeated code. Then we gave it a fresh look, incorporating a picture of the ambulances into the home page design. Because the website had a lot of pages used both by customers and staff, we created a unique navigation with the icons underneath the primary image. This gives users a clear path to the part of the website they need to see. Of note for this website, the client wanted to be able to make quick changes to home page. We developed a PHP app that allows him to make quite changes in an admin screen. Crush Cavities is the public campaign of the Minnesota Oral Health Project. It is a cavity-prevention program intended to reach the low-income children who are are at high risk of dental cavities. In addition to the website, Susan Metoxen, owner and lead developer for White Buffalo LLC, manages the Facebook page of the Minnesota Oral Health Project. Susan serves as technical advisor for the initiative. Of note, Crush Cavities provides information in Hmong, Karen, Lao, Portuguese, Somali, Spanish, and Vietnamese as well as English. 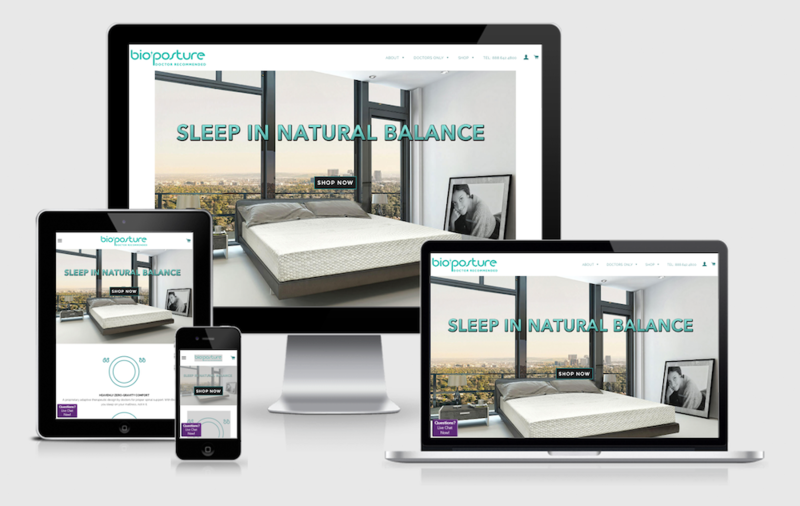 BioPosture, based in New York City, developed a unique mattress with the guidance of chiropractors. Doctors throughout the US recommend BioPosture mattresses for patients with severe back and neck pain. 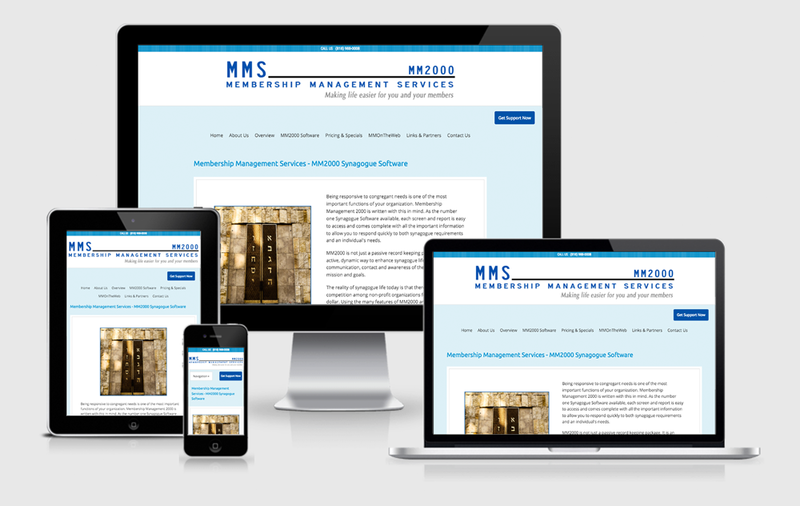 MM2000 sells web-based database services to synagogues. 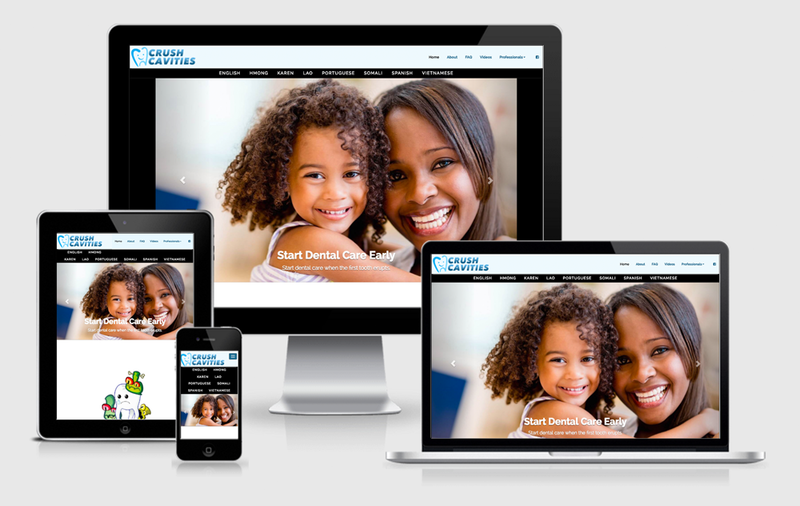 They were happy with their old website, but needed a refresh so that the website would work well on all devices. We incorporated their old website assets into a fresh new design that is responsive. Allyson Wehrs, front-end developer, took the lead on this project from start to finish. She met with the MM2000 to plan the website, developed the website, and incorporated feedback from MM2000 into the final design. To better show the complex set of services offered by MM2000, Allyson arranged the content in a Bootstrap Accordion. 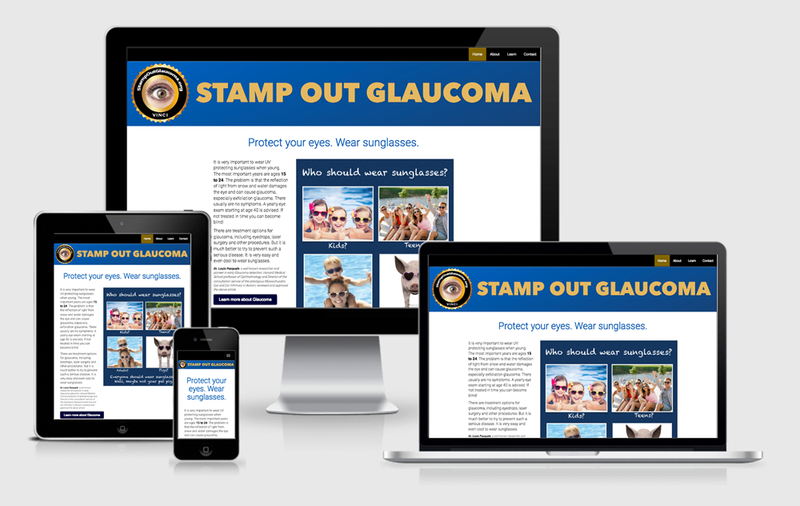 Stamp Out Glaucoma is the initiative of Kitty Haas, a glaucoma patient. When she learned that her glaucoma was preventable by wearing sunglasses, she decided to start a public service campaign to teach children and teens to wear sunglasses. 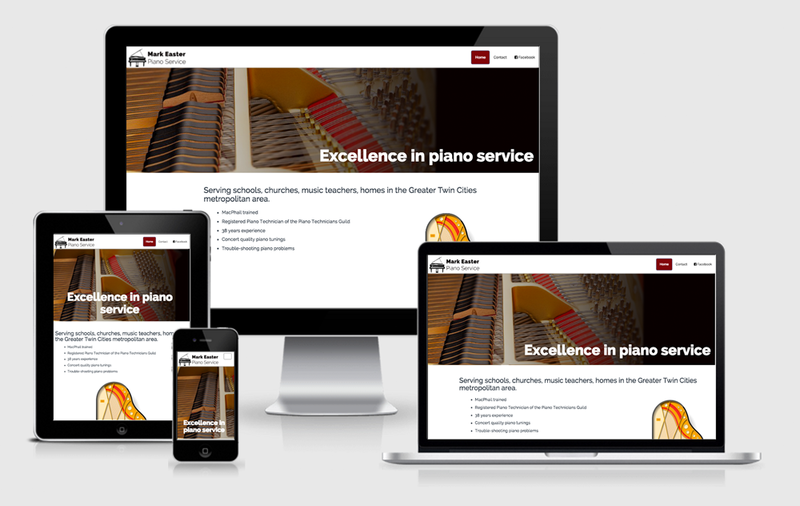 Mark Easter Piano Service, based in Bloomington, Minnesota, needed a simple website that would allow his customers to contact him when they needed piano service. As a "business card" website, it only has two pages: a home page and a contact page. ©2016 White Buffalo LLC. All rights reserved. White Buffalo is based in Hopkins, Minnesota.